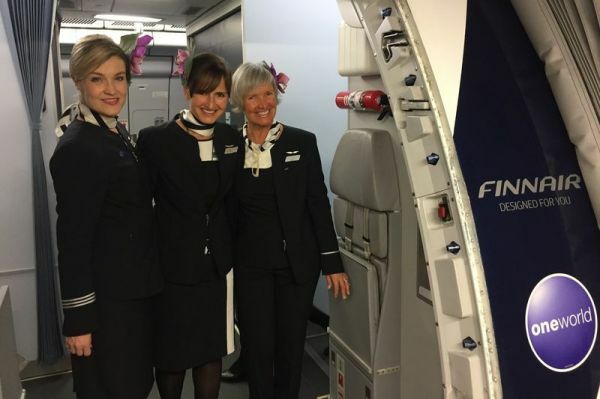 How does Finnairs A330 score versus its A350 product? HELSINKI - Finnair has massively renewed its long haul fleet by adding currently eleven A350s, eight more are to follow. At the same time eight older Airbus A330s remain a second backbone, especially for shorter routes like to the US East coast. "We use them for more growth,” says Finnair CEO Pekka Vauramo in talking to PaxEx.com in Helsinki. This means that Finnair premium customers will find two very different products on long haul routes for a long time to come. 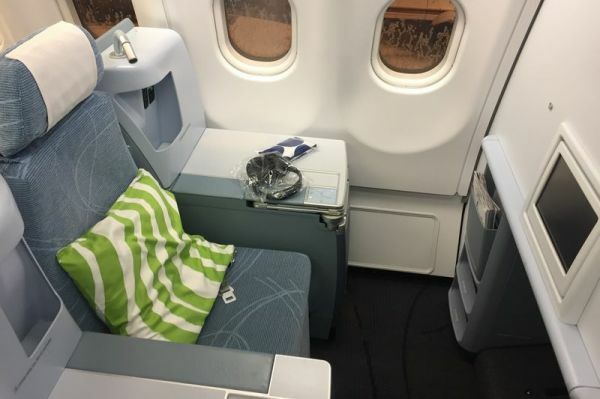 The Finnair A330 fleet (average age eight years) currently boasts a cabin product installed in 2014, which doesn’t offer the newest seat generation installed on board the A350s (average age 1.3 years). Three years ago the A330 fleet was retrofitted in Business Class with Vantage seats manufactured by Zodiac, flying almost identically in the Airbus long haul fleet of Swiss. In its A350s, Finnair uses the Cirrus III seat from Zodiac, the layout in reversed herringbone pattern is also flown by Qatar Airways in their A350s. 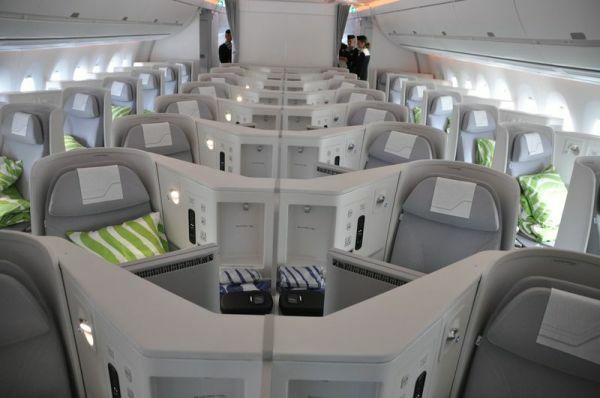 Finnair’s cabin, however, looks much more sterile and much less spectacular. This won’t be changed by Finnair’s recent announcement to do some product cosmetics from February 2018 in its A350 fleet, only two and a half years after the first delivery. The airline promises “new simple and stylish seat covers”. They now consist of grey cloth “with more texture and depth” instead of the previous grey tone, but the appearance remains a bit monotonous. That can’t be evened out even by more colourful patterns from design house Marimekko on blankets, pillow cases, serviettes and china. “Soothing the senses and clearing the mind” is what David Kondo, Head of Cabin Interior Development at Finnair, wants to achieve. Only why the current interior wasn’t able to do just that, he doesn’t say. In the A350 fleet Finnair will soon have two different cabin versions. So far the 46 Business Class seats are divided between the main front cabin, seating 32 in a 1-2-1 configuration without centre bins under the cabin ceiling, and 14 seats in 3.5 rows in a smaller, rear Business cabin with centre bins. Now in some A350s the second Business cabin will be removed, taking the total seat number from 297 so far to 336. At the same time this brings better compatibility with the A330 fleet, of which Finnair also operates two versions, one with two Business cabins (45 Business seats) and one with a single cabin (32 seats). The Finns are also contemplating how they could upgrade the A330 cabin product to get on a level closer to the higher A350 standard. “We are already looking at the next generation of Business seats”, announces Pekka Vauramo. As the A350 cabin boasts a width of 2.61 meters as “Extra Wide Body”, 31 centimetres wider than the A330, “we can’t just fit the A350 seats into the A330s as well”, the CEO regrets. PaxEx had the opportunity to test the current A330 product of Finnair on the inaugural flight of the new seasonal route (flown December 1, 2017 till March 23, 2018) from Helsinki to Havana, Cuba, to compare it to the A350 standard. On this route the deployment of the A350 was planned, but the Cuban authorities didn’t issue permits for this new type in time for the first flight, that’s why Havana was initially served with the A330. But the plan was to convert it to the A350 in early 2018. The Vantage seats in its staggered 1-2-2 or 2-2-1 layout offer a multitude of comfort levels, anything from single “throne” seats to pretty tight seat pairs. I was lucky online and could get hold of probably the best seat in the house: 8A, one of only four “thrones” (2A, 4A, 6A and 8A) with wide tables on both sides, and this is the one right behind the bulkhead of the smaller, rear Business cabin consisting of only three seat rows. In these bulkhead seats the foot space is considerably larger, and seat 8A in the A330 surpasses the single window seats in the A350 in comfort and personal space by a large margin. 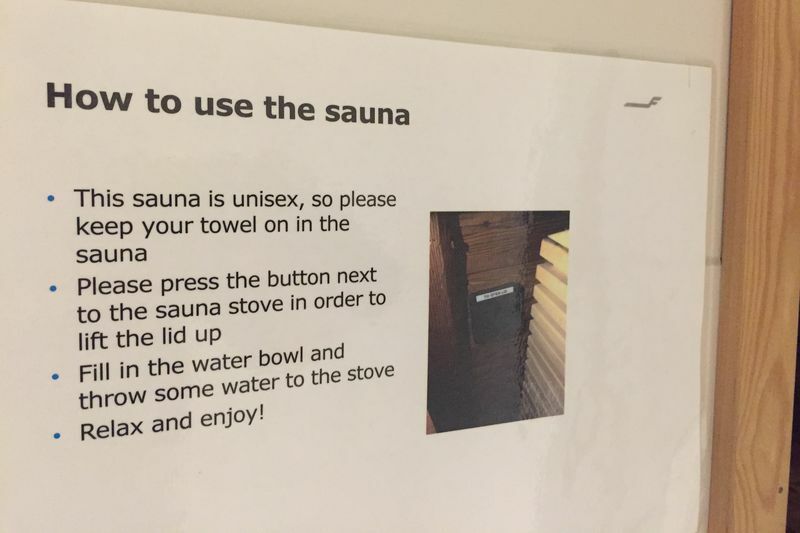 This, however, does not apply to the other seats. For today’s standards the screens with only 30cm diameter are visibly smaller, compared to 40cm in the A350, another minus is the notoriously difficult foldout mechanism of the tables in this type of seats. The service is supposed to be identical on both aircraft, Finnair assures. 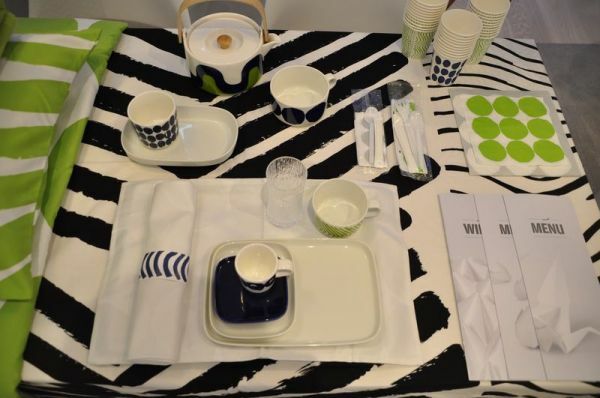 Before take-off there is a choice of blueberry juice besides champagne (Joseph Perrier Cuvée Royale Brut), while all glasses on Finnair from the Ultima Thule series by Iittala, looking like they are made of ice. From these the signature drink “Blue Sky” is offered after take-off, blueberry liqueur with champagne, very distinctive. Same as my gin and tonic, the best G&T I have ever drunk on an aircraft. Not just because of the special glass, also its content surprises and convinces: Fever Tree tonic, topped with local Napue Gin made of Finnish rye, big ice cubes and most importantly, dried Arctic berries are floating in the glass. Yummy! But then the amenity kit is a disappointment, even though it’s made and designed by Marimekko. We get only the frugal Premium Economy version by mistake, though undoubtedly sitting in Business Class. In contrast to the A350 there is no water bottle at every seat, due to lack of a bottle holder. Unfortunately it takes a full hour and three minutes after take-off until drinks are offered for the first time, much too late. Initially there is also no menu card, only when I ask I get one. There are two starters to choose from – cold fish platter or roast beef - as well as three main courses: Baltic herring, Finnish Karelian stew or chicken breast. I opt for fish. The meal arrives one hour and 50 minutes after rotation – and all comes at once, starter, salad and main course. Strange, at first everything is so slow, and now I have to eat my hot main course at once to not have it get cold. And another surprise: It is exactly the same dish that I had eaten hours earlier in the lounge, though it had been offered under a different name there (or now?). Here I had been promised broiled herring, before it was labelled as fried vendace. The crispy fish swims in butter, and nothing to be seen of the pickled vegetables the menu announces. Instead there is some on the starter plate unexpectedly, same as a huge slice of smoked salmon, of which there was no mention in the menu card. A tiny portion of marinated herring can also be found. It would still have been quite pleasing hadn’t I had almost exactly that already once before today. Truly delicious are the Finnish cheeses from small producers accompanied by Finnish bread, for finals I get organic Vanilla ice cream, tea and a Calvados, I can’t complain. From February 2018 Finnair will introduce “dine on demand”, initially on routes to Seoul, Tokyo and Shanghai and until summer on more long haul routes, a feature most quality airlines offer these days. This lets the customer decide when he or she wants to eat, at the same time Finnair wants to enhance the variety of food and drinks. If all this will speed up service more than on my Havana flight or will lead to a separate delivery of starter and main course, as it should be on a day flight, remains to be seen. The IFE offerings, among them 81 movies for example, are good enough, to browse the menu and select is a bit difficult on the smallish screens. Even as there are almost no international music albums I find some superb musical programmes for different tastes. The Airshow, the moving flight map, however is very rudimentary on the A330 and not interactive, while offering a multitude of options on the A350 like zoom-in. Only because I read it in the inflight-magazine by chance I find out that Finnair offers its Business Class passengers one hour of free Wifi. Otherwise it costs 7.95€ for an hour, 11.95€ for three hours or 19.95€ for the whole flight. It works flawlessly. Afterwards I get a round of sleep, my seat converts into a bed of about 1.90 meters in length, but especially in this “throne” seat the limited width of 53cm becomes obvious, it’s a bit hard to get used to these high walls on both sides. Shortly before landing with a delay of 20 minutes in Havana, after flying for a good eleven hours, a second meal is served, much too heavy for this hour: A big plate of pasta with duck filling, plus salad, bread, fruits. Yummy in principle, but not fitting in this situation. I still can’t resist and order another one of these amazingly good G&Ts.